What 'me-time' means to Kerrie McCallum editor of delicious. Who doesn't want some more 'me-time' in their lives? 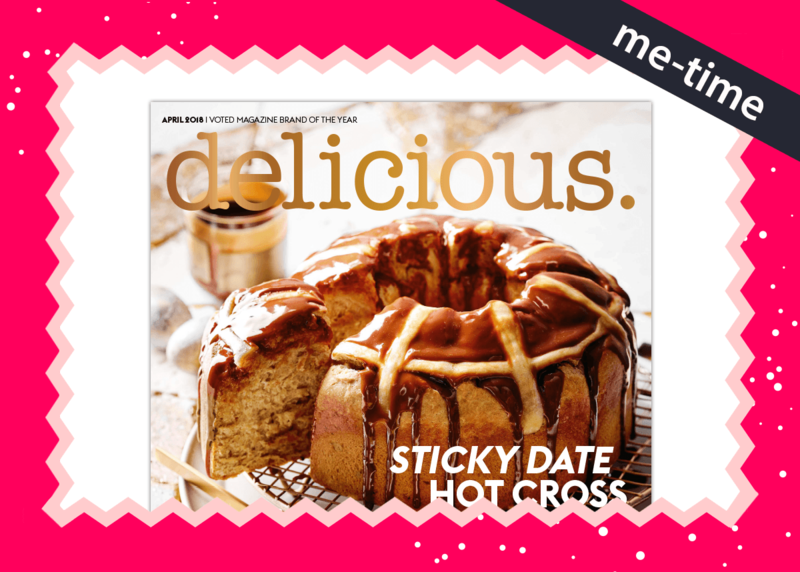 We speak to Editor Kerrie McCallum of delicious. to discuss why it's essential to take some time out for yourself or better yet give some 'me-time' to your Mum! No excuses...! Being not only the Editor of delicious. but also being a Mum could you tell us why it's essential to make time for yourself with some 'me-time' ? Because life is insanely busy! Mostly with fun and wonderful stuff but mums often put everyone and everything else first so I'm not sure I even know what me-time is! At the moment, driving to work on my own and listening to the radio in peak hour traffic is about what constitutes 'me-time' at the moment! Magazines make you take time out. They make you sit and and breathe and leave the frantic world of outrage and constant news aside for a minute. They are deeply pleasurable. They feel good, they are colourful, and full of equally colourful personalities. They celebrate people living different lives and doing different things. They transport you, inform you, help you dream a bit, plan a bit, inspire you, get you excited about life and all the opportunities out there. They make you think of all the great things that you have to look forward to. Why do you think delicious. will make the perfect gift for Mum this Mother's Day? Because Delicious makes you feel happy. It's all about good times. What could be better in life than planning about what you are going to cook or eat or drink, or which restaurant you want to hit next, or where you should travel to, or what party you are going to plan, or which friends you are going to invite over and dress up for. It's full of possibilities. I just think there are no greater pleasures in life than what is wrapped up in the pages of Delicious. Donna Hay celebrates 80 issues!